For as long as he can remember, Mitch Williams, has been intrigued by all kinds of "magic". As a child, he learned sleight of hand and other magic from books at the library, and he also was passionate about art and creative pursuits. In his teen years, through his involvement in Judo, Mitch became interested in peak performance and self-development. He was twice invited to train with the men's Judo team at the US Olympic Training Center in Colorado Springs, where he experienced many "peak performers" first hand. Beginning as a teenager, Mitch pursued a career as a professional magician, and eventually won several national and international performing awards, and he was invited to perform in Japan, in Europe, and throughout the United States and Canada. Throughout this time, Mitch's interest in human potentials continued, and he became an avid student of cutting edge information on self-development, transformational psychology, creativity, and psycho-spirituality. With a true passion for sharing what he'd learned, both from his studies and from applied personal experience, Mitch began introducing many of the messages of the "real magic" of human potential into his entertainment programs. Eventually he shifted more towards presenting programs geared specifically to help people get better results in life. Mitch thrives on sharing his inspiration with others, and has presented uplifting educational and motivational programs for corporations, associations, school groups, colleges, service organizations, and other groups throughout the country. His newly released book, A Call to Magic - the Artful Science of Transforming Self and World is an encapsulation of his broad insights into being all that we can be and living a life of true magic and inspiration. A true modern Reinnassance man, Mitch is also an accomplished artist, musician, poet, author, athlete, gardener, gourmet cook, woodworker, and a martial artist with a fourth degree black belt in Judo. He brings this wide variety of talents, skills, and expertise to his work, making his programs among the most original and innovative in his field. Mitch has a passion for artistic expression of all kinds. He has lectured throughout the US to groups of magicians on how to approach magic as an actual art form. He is also an active advocate for the arts as a means of cultural enrichment and as a powerful tool for economic, educational, and social advancement. 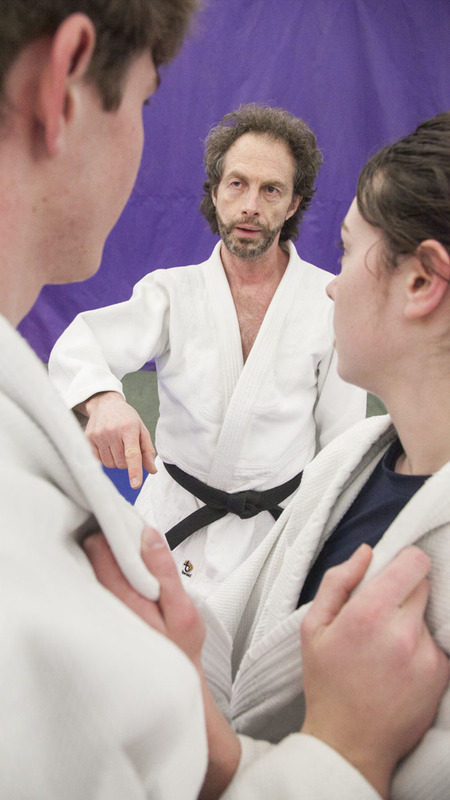 "Magic" Mitch Williams is knows around the Midwest for many things, Author, Magician, social activist, but one thing that he has on his huge resume that many people do not know is his Black Belt in Judo. He is currently a 4th degree black belt (Yondan) and has been practicing Judo for 40 years, since he was 13.